As an independent consultant Ana works in helping companies design more creative and effective marketing, communication and business strategies and has worked on projects such as repositioning and rebranding companies mainly in the food and fashion businesses. She has created business plans for institutes and companies, which have resulted in helping them gather investment and also designs training programs for premium brands. She teaches courses in Retail and Fashion business at ESPM in Brazil. 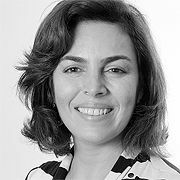 Before starting her own consultancy, Ana had a number of leadership positions as National Marketing Manager for the beauty products company Leite de Rosas, Marketing Manager for direct sales and professional beauty products at Embelleze and head of Beauty and Fashion Divisions at SENAC Rio, a leading educational services company. With solid expertise leading projects in branding, management, marketing and business units’ setup, she was also an associate consultant at Booz&Co and had academic and professional experiences in New York and Hong Kong. She received her Bachelor’s degree in Engineering, as well as an MBA at Federal University in Brazil and a Direct Marketing Diploma at NYU.